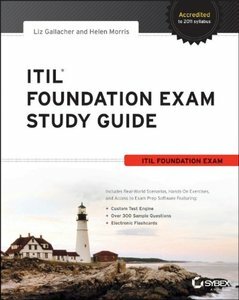 Liz Gallacher, Helen Morris, "ITIL Foundation Exam Study Guide"
PMP Q&A is your best one-stop resource and prep guide for the Project Management Institute's PMP (Project Management Professional) certification exam. This complete learning aid/study guide will prepare you to take the current exam for the most popular certification in today's project management industry--an internationally recognized certification of project management expertise. 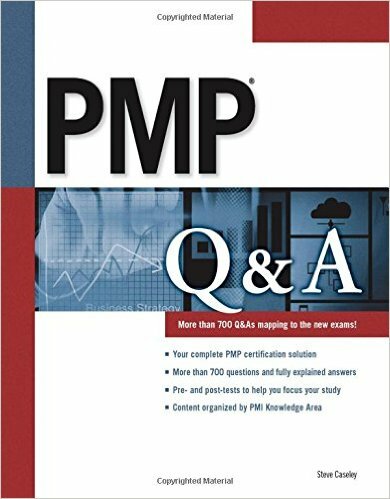 This book features not only a full set of sample questions and answers, but--importantly--explanations of the correct answers, drawn from project management Knowledge Areas, including scope management, time management, cost management, quality management, and much more. Each of the PMP exam's Knowledge Areas is covered, and pre- and post-tests help you fine-tune your study focus. Whether you're new to project management or a veteran, PMP Q&A will help you prepare for this important certification, test your knowledge, and do your best on exam day. 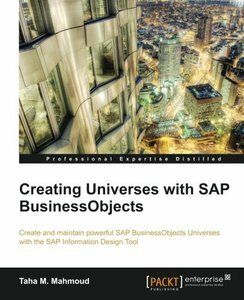 Taha M. Mahmoud, "Creating Universes with SAP BusinessObjects"
This book is aimed at both new developers as well as experienced developers. If you are a new SAP BusinessObjects universe developer who is looking for a step-by-step guide supported with real-life examples and illustrated diagrams, then this book is for you. If you are a seasoned BusinessObjects universe developer who is looking for a fast way to map your old experience in universe Designer to the newer Information Design Tool, then this book is for you as well. Sushil Markandeya, Kaushik Roy, "SAP ABAP: Hands-On Test Projects with Business Scenarios"
Shorn of weighty theoretical treatment and preoccupation with language syntax, SAP ABAP is a comprehensive, practical one stop solution,which demonstrates and conveys the language's commands and features through hands on examples. The accompanying e-resource is a take off point to the book. SAP ABAP works in tandem with the accompanying e-resource to create an interactive learning environment where the book provides a brief description and an overview of a specified feature/command followed by the user switching over to the accompanying e-resource, where a step-by-step guide to creating and running the feature's object is available. * Programming the SAP user interface. For beginners in SAP application programming, and as a reference for practicing professionals and consultants in SAP ABAP. Dhruv Kashyap, Mark Balleza, Robert Lyfareff, Gareth M. de Bruyn, "Introduction to ABAP Programming for SAP (3rd Edition)"
In this thoroughly updated third edition of INTRODUCTION TO ABAP/4 PROGRAMMING FOR SAP, you'll find real-world examples that will help you master ABAP, the main language used for building solid-state business applications in the SAP runtime environment. This book contains a learn-by-doing tutorial with real-world business examples for programming in today's most powerful client-server environment. From the basics of tables, displays, loops, and conditional operators to tuning and troubleshooting techniques to web service calls, object orientation, or enhancing system performance, this tutorial is a must for anyone developing in the SAP environment. Whether you've already spent thousands on official training or learned SAP on your own, this book offers comprehensive technical knowledge on reports, interfaces, data extracts, and testing. 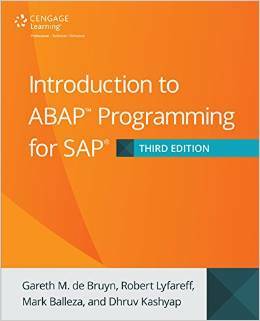 Take control with INTRODUCTION TO ABAP/4 PROGRAMMING FOR SAP, THIRD EDITION. ABAP (Advanced Business Application Programming) is SAP?s proprietary 4th Generation Language (4GL). SAP core is written almost entirely in ABAP. 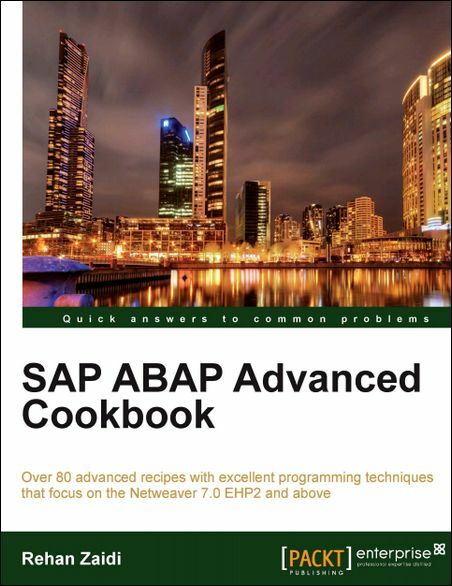 SAP ABAP Advanced Cookbook covers advanced SAP programming applications with ABAP. It teaches you to enhance SAP applications by developing custom reports and interfaces with ABAP programming. This book is written in a simple, easy to understand format with lots of screenshots and step-by-step explanations. 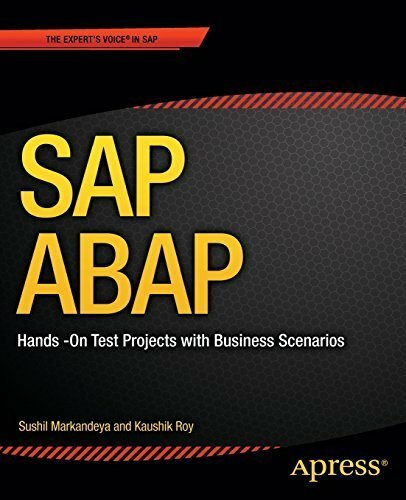 If you are an ABAP developer and/or consultant looking forward to building advanced SAP programming applications with ABAP, then this is the best guide for you. Basic knowledge of ABAP programming is required. 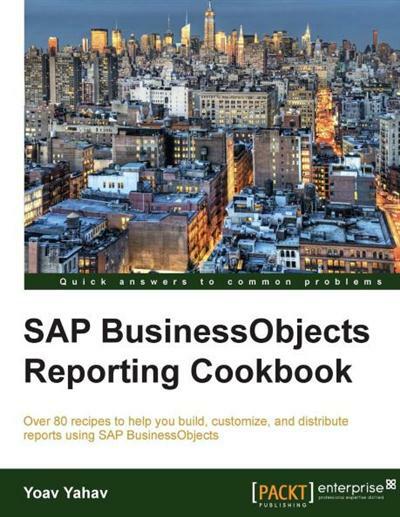 Yoav Yahav, "SAP BusinessObjects Reporting Cookbook"
If you are a business analyst, BI developer, or an IT professional who wants to learn the A to Z of how to work with Web Intelligence reporting tools and different types of data, then this book is for you. The only thing you need is a basic understanding of what Business Intelligence is and data concepts. * Discover how to master different business solutions which will help you deliver high quality reports to your organization and clients. * Work efficiently in a BI environment while keeping your data accurate, secured, and easily shared. This book will educate you on the best practices in SAP BusinessObjects reporting and analysis, including how to create enhanced report formatting and synchronize data sources in simple and easy ways. The book starts by introducing a working Web Intelligence environment and its capabilities. Next, it moves on to creating queries, working with the formatting components, and explaining how to work with different types of data presentation such as tables and charts. The book then guides you through the main report functionality such as using filters, sorts, and calculations; merging data; and using formulas. The book also explains how to work with advanced features such as drills and hyperlinks. This book will take you from the most basic level of how to build a query and elementary concepts such as the nature of data to the most advanced and updated reporting and formatting techniques. Ganesh Karthik S, "SAP HCM - A Complete Tutorial"
Beginning with an overview of important transaction codes and reports that end users can use to perform their day-to-day activities efficiently, you will then move on to the configuration of core modules such as Recruitment, Organizational Management, Personnel Management, Time Management, and Payroll. Next, you will learn to work around common error messages and will be given some tips and tricks that'll save your time. 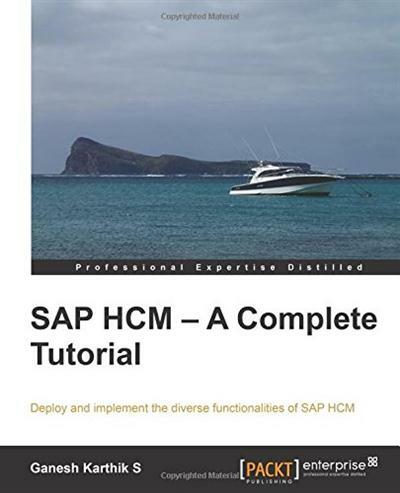 This book is a simple tutorial guide with practical issues and their solutions, aimed at enabling readers to implement the various features of the SAP HCM module. If you are familiar with ERP products, and would like to leverage knowledge and fine-tune your configuration skills, then this book is for you. This book is aimed at readers who want to learn about SAP HCM and its most popular functionalities.